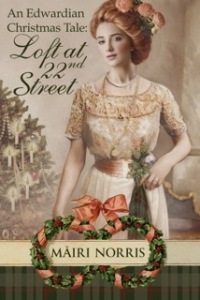 In this lighthearted Christmas tale set in 1906 America, a Society girl and her Highlander bodyguard fall unexpectedly in love. For American-born Scotswoman Ainsley Birral, the game of marriage is a tricky proposition, one in which there are three strikes against her. Too tall, too old and modestly unconventional, she expects to live out her life as a maiden aunt. Then one autumn morning she opens her Uptown bookshop to discover an unpleasant surprise. Before she can say “skidoo”, she’s embroiled with a Highlander who touches her heart and stirs her senses, and whose size makes her feel – for the first time ever – deliciously small and feminine. Brendan MacKean is hired to protect a beautiful woman threatened by an elusive killer. For this former Scotland Yard Inspector, it’s a ho-hum, run-of-the-mill task – until he discovers his usual dispassionate demeanor toward his work is thrown off stride by a powerful attraction to his client. Ainsley Birral is the woman of his dreams, but is she out of reach to one whose roots are sunk deep in the back streets of Inverness? As the busy holiday season approaches with its attendant excitements, joys and festivities, Brendan must keep Ainsley safe while they explore the passionate love building between them – and find a way to bridge the gap between their respective worlds.